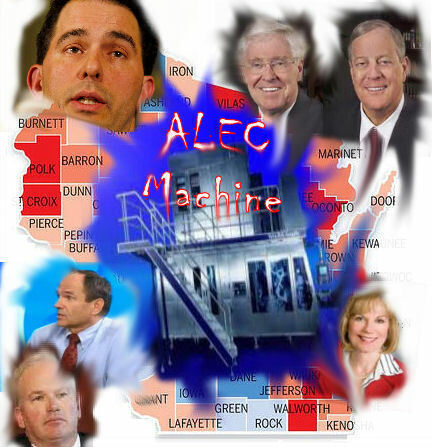 Is This Democracy – ALEC? If you were to go to the website Alec.org, you would find a benign site that tells you how the group American Legislative Exchange Council (ALEC) was founded to “advance the Jeffersonian principles of free markets, limited government, federalism, and individual liberty”. They will tell you they do this through a “nonpartisan public-private partnership of America’s state legislators, members of the private sector, the federal government, and general public”. Then they further tell you they are doing this for us by “developing policies that ensure the powers of government are derived from, and assigned to, first the People, then the States, and finally, the Federal Government”. Further they will do this by “enlisting state legislators from all parties and members of the private sector who share ALEC’s mission”. But wait, I thought this was for we the people but now they tell us only “we the people” who agree with their mission? I wonder what else they are going to do for we the people? Well, they tell us in a further statement: They will “conduct a policy making program that unites members of the public and private sectors in a dynamic partnership to support research, policy development, and dissemination activities”. And according to them, if we trust them, “they will prepare the next generation of political leadership through educational programs that promote the principles of Jeffersonian democracy, which are necessary for a free society”. That sure sounds like something we can all get behind, but not so fast. I am sure that little part about agreeing with their mission is just an oversight, right? I suppose if you were to peruse their site and not dig any further, you could walk away with that impression. The problem comes into play IF you do dig further because what you will find out is that ultimately ALEC is looking after Corporations and not we the people, in any respect. They dress it up to lull the public while in the background they work to ensure legislation is geared toward the benefit of Corporations alone and while we may realize some crumbs they deign to throw at us, make no mistake they are in it to win it for themselves and their corporate masters alone. A quick note for those of you new to this particular area of semi-secretive activity: the American Legislative Exchange Council (ALEC) is a 501 (c) (3) tax-exempt not-for-profit organization that bills itself as being the nation’s largest “bipartisan” public-private legislative partnership. As such, ALEC consists of more than 2,000 state lawmakers and more than 300 of the nation’s leading corporations, lobby firms and ‘think tanks.’ Some of those leading coporations are: Bayer, Glaxco,Smith.Kline, Centerpoint360, Exxon/Mobil, Phrma, Kraft Foods, Walmart and Koch Enterprises to name a few. Of course it would be difficult to name them all here, but you get the general idea. To give you a good idea of the stealthness, watch Real Time with Bill Maher sometime. You will see a gentleman from time to time named Stephen Moore on the show. Bill introduces him as a senior economics writer for various publications, mainly the WSJ. Never once does he say anything about Mr. Moore’s connection to ALEC. I don’t know about you but it makes me question Bill Maher’s due diligence in investigating his guests’ backgrounds and HBO’s decision to hire someone who would portray this gentleman as just another economics scholar, never mentioning his seat on ALEC’s Board of Scholars. But then again, perhaps that is intentional. So you are probably wondering exactly what it is that ALEC does and I am ready to tell you. ALEC has members in nearly every state of the union in Congress, State Legislatures, State Assemblies, Governorships, perhaps even in the White House either in the past or currently. That is not to say our President is aware of it, just that it could happen. It is hard to determine all the areas they cover but knowing these people are the ones determining legislation in your state and country is chilling enough. You can email your representatives all you want expressing your views on a particular piece of legislation, if it is not in line with ALEC’s mission, your representative is not going to vote for it, especially if they are Republican. So you can see where their mission, not your needs, comes into play because they and their corporate board members have the money, you do not. You will also probably not be too surprised, at this point, to know most members belong to the Republican party. I have found a few Democrats but not nearly enough to consider them truly “bi-partisan”. Understanding that, you have another problem because who do you think they are going to favor in legislation and at the voting booth? You guessed it, Republicans. So what is some of the legislation they have sponsored and won? Voter ID laws for one and in the mid-term elections of 2010 you could also guess they were behind the majority Tea Party and Republicans gaining control of the House of Representatives. They knew if they won the house and local elections, they would gain the upper hand in re-districting and that is exactly what happened. Remember the Koch brothers are members and it was the Koch brothers who bankrolled the “grassroots” Tea Party Patriots and by association their candidates. I saw where a person referred to the Koch brothers as the Kochanostra and I happen to think that label is appropriate when you keep turning over the layers to see how much they try to influence laws, the environment and our elected offices. Isn’t that what the Mafia did and isn’t some of that activity exactly what resulted in Rico charges against them? The “Stand Your Ground Law” is another piece of legislation that was sponsored (always in the background) by ALEC. I am sure you have all heard about the tragedy that befell the Martin family in Florida. In case you have not heard, the shooter(George Zimmerman) of Trayvon Martin, a 17 year old high school senior, is claiming he should be protected by Florida’s stand your ground law. In short, he was a self imposed “neighborhood watchman”, who, despite being advised by 911not to follow a “person of interest” in his gated community, did so anyway. An altercation occurred and George Zimmerman (the watchman) shot and killed Trayvon Martin claiming the young man accosted him as he was returning to his vehicle. 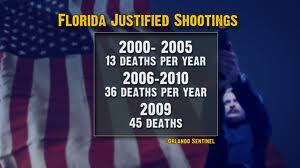 The “Stand Your Ground Law” protects citizens if they need to use deadly force in the process of defending themselves. In short, it makes you or I a vigilante and it may be coming to a state near you thanks to ALEC. But where does the encouragement of vigilante (in) justice fit into this picture? It is the same old story, the long-standing exploitation of public fears. Republicans have done this again and again. During the Bush administration they even had a color-coded chart to tell us exactly how afraid we should be, red was terrified and green meant to go out shopping. It should come as no surprise that the NRA and ALEC have been allies for a long time as well. Who benefits from lax gun laws? The NRA and the manufacturers and retailers of weapons. Many ALEC-drafted bills pursue standard conservative goals: union-busting, undermining environmental protection, tax breaks for corporations and the wealthy. ALEC seems, however, to have a special interest in privatization — that is, on turning the provision of public services, from schools to prisons, over to for-profit corporations. And some of the most prominent beneficiaries of privatization, such as the online education company K12 Inc., EdisonLearning and the prison operator Corrections Corporation of America, are, not surprisingly, very much involved with the organization. What this tells us, is that ALEC’s claim to stand for limited government and free markets is misleading. To a large extent the organization seeks not limited government but privatized government, in which corporations get their profits from taxpayer dollars, dollars steered their way by friendly politicians. In short, ALEC isn’t so much about promoting free markets as it is about expanding crony capitalism. And in case you were wondering, the kind of privatization ALEC promotes isn’t in the public interest; instead of success stories, there are a series of scandals. Private charter schools take tax money to operate and seldom show increased educational achievement. In fact, EdisonLearning is being funded by the Florida Teacher’s Pension and the funding was done while Jeb Bush, as governor/trustee, agreed to use the funds to help Liberty Partners prop up the company which, in it’s history, has consistently lost money. And like Bain Capitol, Liberty Partners is in the business of LBO’s. If things go wrong again, they will file Bankruptcy once again and most in the Pension fund will never know. These people, who love to stir up the Islamaphobia, have entrusted a man who is a devout Muslim to run some of these Charter Schools. Now I do not have a problem with this as the evidence is very shady, but if these people and their followers realized that I just wonder how they would deal with it. A friend of mine inadvertantly gave me the answer. Of course they would blame it on President Obama, thank you Sally. 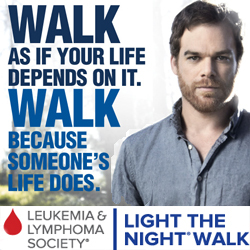 The link to the website is below. There is one thing these people do not like and that is sunlight. 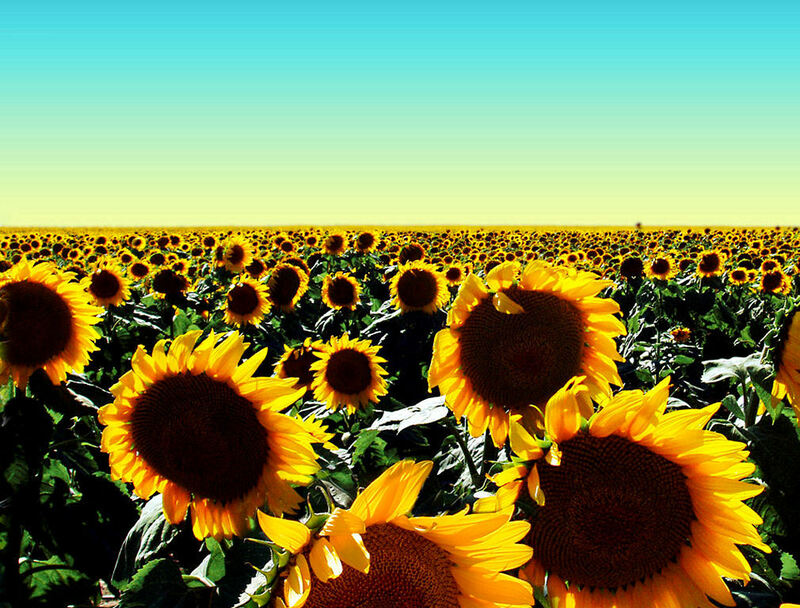 Sunlight for those sunflowers above make them flourish, not so for these people in fact you put sunshine on their activities they will fight back. Sunlight on their organizations means trouble for them, whenever sunlight is brought to bear they need to refute it, if serious enough. You may have heard of a new organization called Americans Elect. They have positioned themselves as a grassroots organization which I find hard to believe. First of all they were funded with Wall Street assistance and they have hired a CEO from the CFR(Council for Foreign Relations). How can a member of the CFR possibly understand the everyday problems of the 99%? Second, they have positioned a member of ALEC on their rules board. So a member of ALEC is going to judge and make decisions in the nominating and voting rules? You just finished reading this piece, don’t you just wonder how that could possibly go wrong? Would you question the motives of the people in both organizations? If so, then tell the world. Don’t be quiet about it, that is what they count on – our silence. Has Democracy Outlived Its Usefulness? The American Legislative Exchange Council, a right-wing corporate front group that helped passed “stand your ground” laws and voter suppression initiatives in states across the country, lost two more member companies. In an email sent to Color of Change, a progressive group organizing the petition against ALEC, Mars, Inc., the maker of M&M’s and Snickers, announced that they have “decided not to renew the ALEC membership in 2012.” Arizona’s largest energy company, Arizona Public Service, has severed ties with ALEC as well. Following pressure from progressives, a host of other companies announced they would no longer contribute to ALEC in the past two weeks, including Coca Cola, Pepsi Co, Intuit, Kraft, the Bill & Melinda Gates Foundation and Wendy’s. Seems they got “The Letter,” that they were next. In a February 29 letter to Robinson, McDonald’s said that it remained a member of ALEC — although it disclaimed involvement with ALEC’s model Voter ID legislation which disenfranchises thousands of poor, minority and elderly voters. Do members get to pick and choose what they support, but doesn’t paying dues to ALEC in effect mean they are backing them and all their endeavors? Is this how it’s going to have to be done? One corporation at a time before all consumer corporations quit ALEC? When you look back at the way the public had to force the Susan G. Koman Foundation, the advertisers on Rush Limbaugh’s program, and now these ALEC backers to shape up, you have to wonder why major corporations are so resistant to even considering ethics in their business models, don’t you, b’ito? Even if only for self-interested motives, you’d think they’d want to do something that remotely resembles the right thing. Without the public having to constantly hold their feet to the fire. I know, I know. Dream on…. The Bill and Melinda Gates Foundation today became the latest backer to withdraw financial support for the American Legislative Exchange Council. A foundation spokesman told Roll Call that it does not plan to make future grants to the conservative nonprofit, which has come under fire from progressive activists for its support of voter identification laws and other contentious measures. “We have made a single grant, narrowly and specifically focused on providing information to ALEC-affiliated state legislators on teacher effectiveness and school finance,” said Chris Williams, the spokesman, noting that the foundation was never a dues-paying member. The foundation advocates for global health initiatives and efforts to reduce poverty. I am glad to see this but it bothers me these people did not pull out of Alec until the lights were shined on them. There is something just so wrong about it all. I agree Sue. When people are that rich that they don’t know exactly where their contributions and grants are going to, there is something very wrong. When you give money you have a responsibility to see that it’s being used in a way to help people, and not to destroy their way of life or their voting rights. Willy-nilly contributions sometimes do more harm than good, and checking where your money ends up, and what the receiver does with it should be number one on the list for those who can afford it, otherwise just throw the money out of a 40 storey window, it might do much more good. The same when the sponsors left Rush, most of them waited until it was clear that peopld were seriously outraged before they made a move, and I think it weakens their efforts and reasons for pulling out. Hey, don’t shoot the messenger! 😆 😆 I agree with both of you that it’s a shame that a spotlight has to on them before they do the right thing and investigate exactly who they are giving money and grants too. The information on them didn’t just come out recently, many groups have been complaing about them for years, not just the last couple of months. I think we brought them up as far back as 2009 on our pages. The people that quit recently knew, they just didn’t want to admit it. Well. water under the bridge, we have to keep the pressure on them and expose them. You know I’m anti-gun bito, I would never shoot you. This sort of thing just annoys me because you just have to go to Google if you need some background information about an organization you are giving tons of money to, so someone is not doing their job properly. It reminds me of a product that is not safe, and no one bothers to check into it until someone is injured or dies. He is very rich, he wants to help people, I understand that, but surely someone should have the responsibility of seeing where that money goes, and ask for records of exactly who it has helped, and where and when? I would want to know that if I had the money to give, wouldn’t you? Wal-Mart and Koch still want to suppress votes and take away your health care. Democratic officials Wednesday launched a two-pronged attack on states with new laws requiring identification before voting, the highlight being a call to boycott Coke, Walmart and others that back a leading organization pushing for voter ID laws. Coke was quick to react to the political boycott threat, pulling support from the targeted group just five hours after it was called. Walmart said that support for a group does not mean it backs every decision by those groups. At issue: Liberal claims that some states are trying to keep minority voters from the polls via voter ID laws, a suggestion conservatives call silly. Officials from another party-backed group, Color of Change, kicked off a boycott of Coke and other financial backers of the American Legislative Exchange Council (ALEC) which supports new voter ID laws. Other supporters include Walmart and Koch Industries. The boycott call started with a tweet (@CocaCola is helping undermine voting rights. Tell them to stop) and a webpage. The group also has tied the Council to the Trayvon Martin shooting case. OMG, can’t believe the ignorant comments, read at your own risk. Wow, now they are saying that Kraft Foods will not be renewing with ALEC. That is a BIG one! More to come, lets hope! Sue, According to the Ed Show, Pepsi has joined Coke and als quit ALEC!! Wal-Mart needs to be next! John Nichols just reported that Kraft food has just withdrawn their membership! Nah, Bito, I just got to the keyboard first. There is a movement on Twitter to get rid of walmart it is @shutitdown2012 with the same hash tag. I am not sure about Van Jones. And i think Color’s petition just went up a few weeks ago. You are right though alot of people are working to expose them. Pepsi left ALEC in January. They didn’t make an announcement when they withdrew. Coke is the new one to leave. Hope there will be more. Wal-Mart would be a shocker if it left. Sally, I didn’t know that about Pepsi, they left before the CoC petition was even out. It could have been the AFL-CIO’s petition, who knows? Bito, I found this article and it says the following about Pepsi and it looks like it was the voting ID laws that made them not renew. “PepsiCo, another soft drink giant, belonged to ALEC for 10 years. In January, a company vice president told ColorOfChange that it wouldn’t renew for 2012. Great piece, Sue. I wish every voter in the U.S. could see it. I am currently working on a spreadsheet listing every single member in the U.S. House and the Senate from each state. My goal is to email it to everyone in my address book across the nation with hopes they will forward it to everyone they know. If a republican seat has Democratic challengers their names and candidate websites are listed too. I will not put any republican information on the spreadsheet tables. My thinking is if people want to support republicans they can do their own research. I am also learning the names of the Blue Dog Democrats in this search. I prefer them ousted as well. Hi 19th- Don’t belileve we’ve met. Welcome to the Planet! My one caveat about ousting Blue Dogs is that, at least here in CA, we have found them very workable. It definitely requires a full court press from constituents, no doubt about that, but it CAN be done. During the health care debate, coalitions of more liberal/progressive people descended on district offices showing support for the plan, and every single Blue Dog wound up voting for it. Blue Dogs do represent their constituents. There are parts of the nation that are just more conservative than we bi-coastal types, but there is nothing intrinsically wrong with that. What we more liberal people have to do is be present on small and large issues with those Blue Dogs and find ways to build relationships that matter to them. The one thing that offsets the power of money is the power of votes. Unless AdLib’s HORRIFYING (joke) scenario April 1 were ever to come true where corporations could vote, that might be true, but at the moment the power of the vote is actually EQUAL to or surpasses the power of money. Well organized voices around issues can change all but the most craven Blue Dog. (I’m thinking Ben Nelson probably would never be anyone other than, well, Ben Nelson.) We in the liberal/progressive arena do not raise our voices often or well enough on most issues. We must. Keeping a Blue Dog with whom we can work is critical to keeping power in each house of Congress (or states). That is what the radical right has done -- we are not exempt from that. We cannot expel Blue Dogs just because we find them annoyingly too conservative especially if the opposition is worse -- and it IS worse. In 2012 particularly, the regaining of both houses is CRITICAL to our survival as a democracy and nation of all people, not just the few. Targeting Blue Dogs now -- especially if we’ve NOT done our homework in getting to talk with them well -- is absolutely dangerous. We cannot be “too good” to negotiate with those whose capacity to keep us moving forward simply by their presence in the party and thus the (we hope) majority. We cannot be “too good” to vote for them. I am a lobbyist for a large non-profit that does social justice advocacy, so this advice comes from YEARS of experience. I’ll take a Blue Dog over any GOP any day of the week. It’s important. Hi CL. I didn’t know you’re a fellow Californian. I know that HuffPost is not the most popular place on the planet, but I agree with you completely about keeping all the Dems we can to bring sanity back to the country. I’m new here and at HuffPost as well, but I will not just walk away from an exchange with someone who clearly argues the GOP line. I’ve found a lot of success in inviting mutual fanning so we continue the discussion, which is important to all of us, and also adding that I find as much value in hs/her opinion as I find in mine. I’ve gained a few friends that way and have had some interesting conversations. I find the really conservative posters to be uninformed, rude, almost nasty and really quite insecure in how far they will take a discussion. I don’t want to behave like them. Tuesday, I had a similar experienced an exchange involving mutual disagreement over the president and, after three posts, the person who is now a friend, wrote that it was a great experience having a discussion with a reasonable adult and that person’s goal is to try to do a better job explaining his/her views rather than leaving insulting comments. I think most people are willing to listen -- not just hear -- but listen. And I may not agree with a point of view, but I do understand we are all the product of our experiences, educations, jobs, friends.. I like your comments; thanks. I’m in Sacramento. You’re a lobbyist. Do you spend much time at the state legislature? 19th are you still on? Enigma2, my sincere apologies… we’re filling out and filing our tax forms today (I know, I know… last minute on my part) so it has been a little hectic around here. I will check through your comment history to see what I missed. I have been back and forth b/t home stuff, here, phone calls and the “other” place. Please email me with any updates. It was just an off day for me, yesterday. To the planet management, please pardon my OT. Won’t happen again. No worries, I have your email information, i will get to you later today or more probably sometime later this evening..Don’t get too frazzled. 19th -- doing taxes excuses you from any and all other issues! No one can deal with that and be expected to be sane. LOL ~ thank you, Sue. Rereading my post I thought, “Wow, I do sound like a raging liberal, progressive Democrat, don’t I?” Truthfully, I pretty much am. With all the anti-women legislation attempts out of the U.S. House and even the Senate (btw: my moniker stands for the 19th amendment) and the successful legislation hailing out of so many States across the Country I can’t fathom why every woman in America would not be feeling the same. They’re trying to legislate every which way around Roe-v-Wade, in my opinion. Much appreciation for letting me know that you and Bito Tweet. I don’t have a clue about how to use the Tweet stuff but I will get on board if it means getting the research out and about. Truly…I am grateful. Hi 19th. Welcome. I’m no longer the newest kid on the block. Your post was excellent and from a registered Republican to a raging liberal, be assured I’m with you. Love Obama; worked for him in 2008; working for him this year. I haven’t changed registration because CA primary lists both partys’ candidates in the primary, and because I LOVE adding when I’m commenting about the disgraceful congress that, “I’m a registered Repubican and I”m ashamed of Boehner and his Gang.” Feels good actually. Enjoy doing you’re taxes. I reserve the entire day of April 14. Aha, here you are, I see you made it, fantastic. Sue it amazing how much damage ALEC has done to democracy in the US while Dems were either asleep or bickering amongst ourselves. Thanks for keeping them exposed and for posting this article! They are stealth no longer due to the work you and others have done exposing them. Thanks I am a little late to the game, there are people who have been exposing them for years. So many kocharoaches and so few of us to zap them. @AmericansElect @DylanRatigan When confronted about ALEC member on AE rules comm U both run and hide? Why not tell the truth for once? @DylanRatigan How about keeping an eye on Americans Elect too? Don’t you question their ALEC connection? You are a journalist no? Sue, I thought of you when I heard him bring up AE yesterday and I just stole your tweets and sent them to Ratagain. Amazing that he has staff to look into things before he starts spewing or perhaps he knows and doesn’t care because it ruins his “both parties are the same meme.